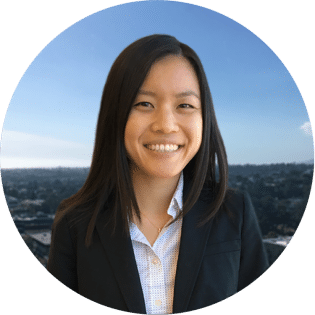 Carina Woo is an associate on Schorr Law's real estate litigation team. Carina earned her Bachelor of Arts degree in Environmental Analysis and Design from the University of California, Irvine in 2007. She later went on to earn her Juris Doctorate in 2012 from the University of Oregon, School of Law prior to her admittance to the California State Bar. During Law School, Carina was part of the Asian Pacific American Law Students Association, where she served as co-chair for one year. Before joining Schorr Law, Carina’s practice focused on real estate and construction litigation for both individual and corporate clients, including contractors and subcontractors, brokers and agents, and property owners in a variety of real estate and construction disputes, including title and joint ownership disputes, material nondisclosures related to property purchases, breach of contract, fraud, construction defect, and mechanics liens. Carina's practice also includes preparing, reviewing, and negotiating real estate and construction contracts, including residential and commercial leases, purchase and sale agreements, and construction contracts. Represented residential real estate owners in partition actions. Represented buyers of real property who were defrauded by the sellers due to material non-disclosures. Represented property owners who entered into contracts with unlicensed contractors to seek disgorgement of all monies paid to the contractors. Represented property owners who had mechanics liens improperly recorded on their properties. Drafted and negotiated commercial leases. On her free time, Carina enjoys playing board games, going to Disneyland, and traveling. Carina is fluent in Cantonese.